Metal Gear Solid V: The Phantom Pain is a huge step forward for the Metal Gear series. This time around players can enter the field with various “buddies” which will help make the missions move along smoother. Here's a quick guide to help you unlock those optional companions. In Metal Gear Solid V: The Phantom Pain players can equip various “buddy” members to follow Big Boss into battle. This guide will walk you through how to recruit Diamond Dog (also know as D.D., or D-Dog), as well as how to recruit female solider, Quiet. Recruiting Quiet and D-Dog will earn players the Speechless and Cry Havoc achievements. 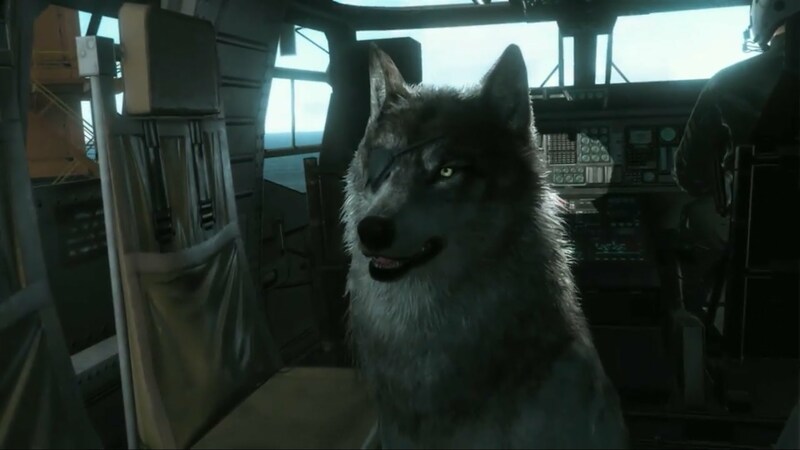 You won’t have to go far to recruit D-Dog, in fact, it only takes making it to the start of the game’s fourth playable mission to find the little one-eyed pup. Once you load into Mission 4, you should spot the little pup hanging around the Landing Zone. Use your Fulton Device to extract him back to Motherbase, and then continue the mission. To make D-Dog available to deployment you’ll have to wait until he’s grown up and been trained. It should also be noted that you cannot get the Cry Havoc trophy until D-Dog is ready for deployment. To make D-Dog grow up you’re going to need to continue playing through the game. You’ll see various cut scenes as the dog grows older, more well-trained, and stronger. Once you have beaten up to level 10 of the main game, D-Dog should be fully grownup, and deployable. You should also receive the trophy at this point. If for some reason he isn’t deployable after Mission 10, simply head back into the field and complete another mission or two. To recruit Quiet, MGSV’s female sniper-extraordinaire you’re going to have to play a little further into the game. To recruit her you’ll have to make it to the end of Mission 11. Once you reach the ened of the mission, make sure you do not kill Quiet in the cut scene. If you kill her you’ll need to replay the mission and leave her alive. Now continue playing until you reach the end of Mission 14 and unlock Side Op 111: Visit Quiet. To visit her you’ll need to head back to Mother Base and make your way to the medical platform. Once you arrive at the helipad, head down the stairs in front of it to find her waiting in her cell. Now all you need to do is call the helicopter back to the pad so that you can leave the area. This will trigger a cut scene between Snake and Quiet. Once the cut scene has come to an end Quiet will be available as a deployable buddy to offer expert marksmanship in tough missions. Not only will you have another fantastic comrade to aid you in your battles, but you’ll also unlock the Speechless achievement and be one step closer to earning 100% completion on Metal Gear Solid V: The Phantom Pain. That wasn’t too hard, now was it?